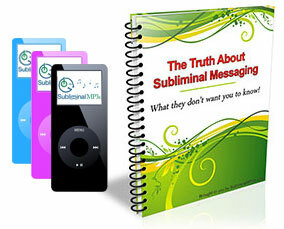 Put an end to comfort eating forever by re-wiring your mind and changing your habits and behavior with this powerful subliminal audio album. Do you reach for a bar of chocolate almost automatically after a hard day? Do fall out with your partner and get the ice cream out straight away? Can you sit in front of the TV and eat junk food all evening if you are depressed? Comfort eating usually happens when you're angry, bored or stressed - you turn to food to give you comfort. Unfortunately, these foods are most often loaded with saturated fats and sugary carbohydrates. They can make you feel better - but it's a temporary fix, and you know it. But you just can't stop. First of all it will help you to realize your comfort eating, and identify your comfort eating patterns. By simply becoming aware of your comfort eating in detail you are taking the first steps to overcome it. Once this has happened the album works on a short term basis to strengthen your willpower and help you to stay strong against your impulses. You will start to recognize that it is just comfort eating and you will be more logical and rational and stay strong against your urge to binge eat. Secondly it works over the long term - it is designed to completely rewire your mind and sever the link between your emotions and food. It will change the way you view food forever, and stop you from seeing food as a solution to your problems, or as an emotional aid to your worries. The first thing you will notice when you start using this album is that you will stop reaching for the sweets, junk food or dial a take-away when you feel upset and depressed. You will experience an immediate boost to your willpower, and you will start to think logically and realize you are in control. Simply because of this you will start feeling better about yourself - without needing the food. You will start to think of alternative ways to take out your anger, stress, and depression, other than resorting to food. This album will help you stop comfort eating - start today and take the first steps towards a healthy diet, and a healthy lifestyle. This albums part of our wider weight loss collection and specifically focuses on helping you to stop comfort eating - if you are new to subliminal mp3s check out our core subliminal weight loss album.